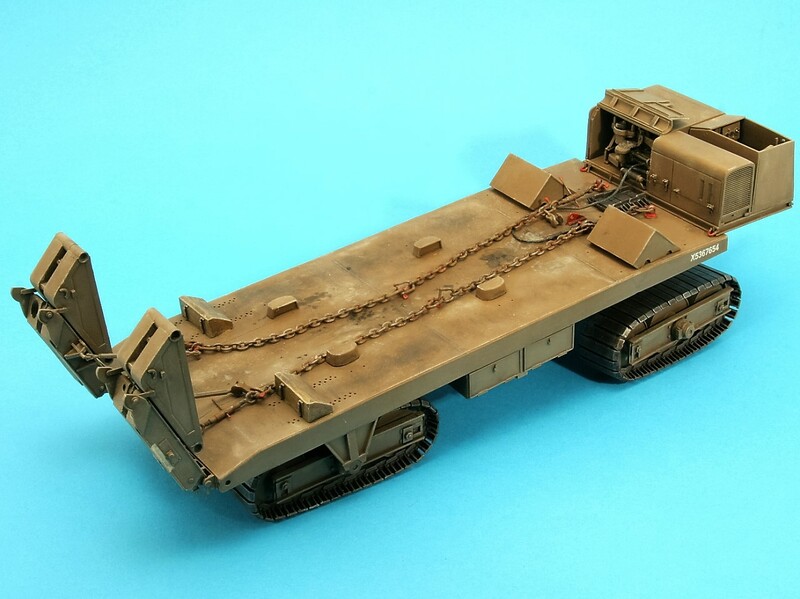 This comprehensive 1/35th scale conversion set by Jon Bottomley & Rob Tearle converts the AFV Club Churchill kit* into the Armoured Recovery Vehicle Mk-I which served in all British WW-2 units equipped with the Churchill tank and variants. 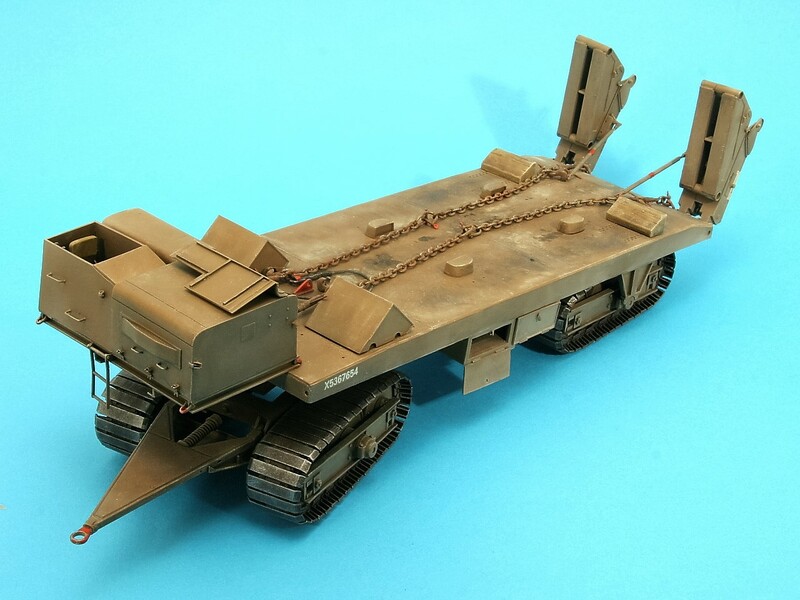 British “ARV’s Mk-I” were recovery tugs which carried spares, tools, welding equipment and basic recovery, towing and lifting gear and were always based on the tanks they would work with. 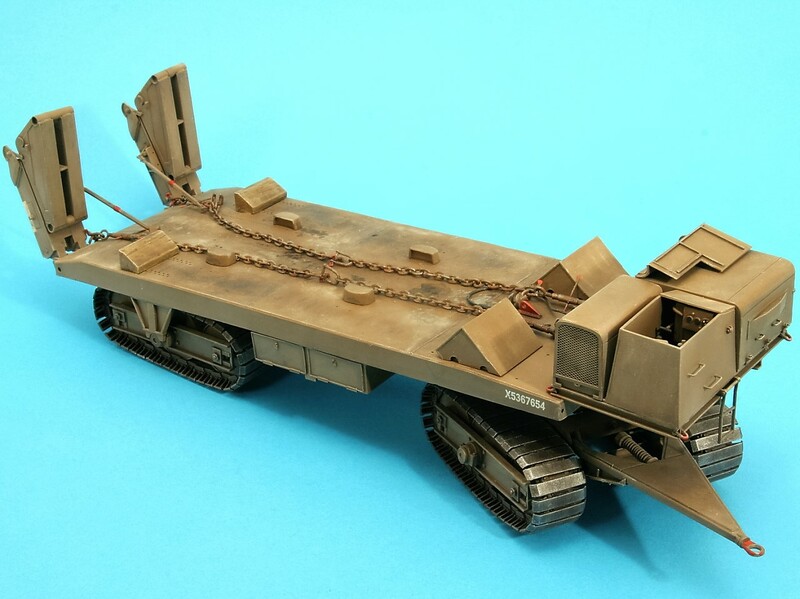 This comprehensive 1/35th scale full kit by Jon Bottomley & Rob Tearle depicts the huge British WW-2 45-Ton Tracked Recovery Trailer which was designed to be used with the Churchill ARV Mk-I or large tracked caterpillar tractors or heavy recovery tractors. 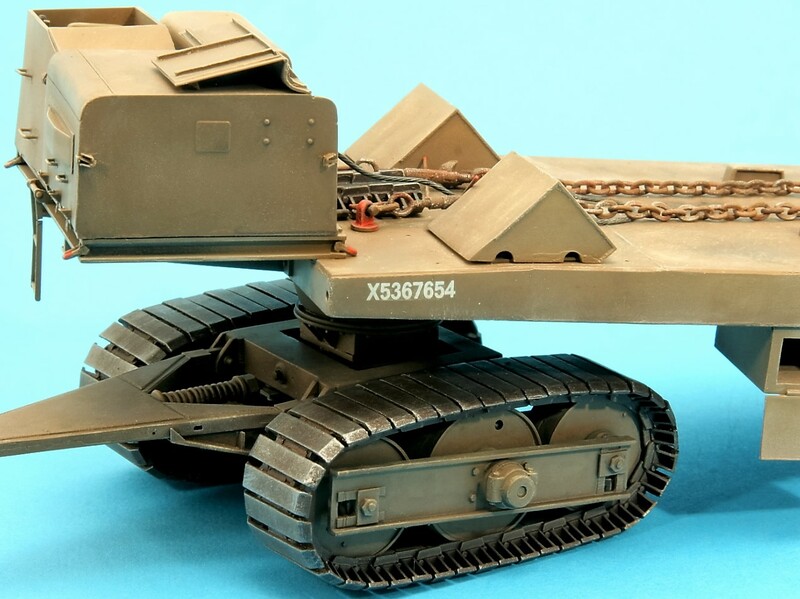 Designed by Cranes (Dereham)Ltd. for tank recovery and for transporting very heavy equipment on the beaches for the forthcoming Normandy landings this trailer weighs in at 30 Tons unladen. 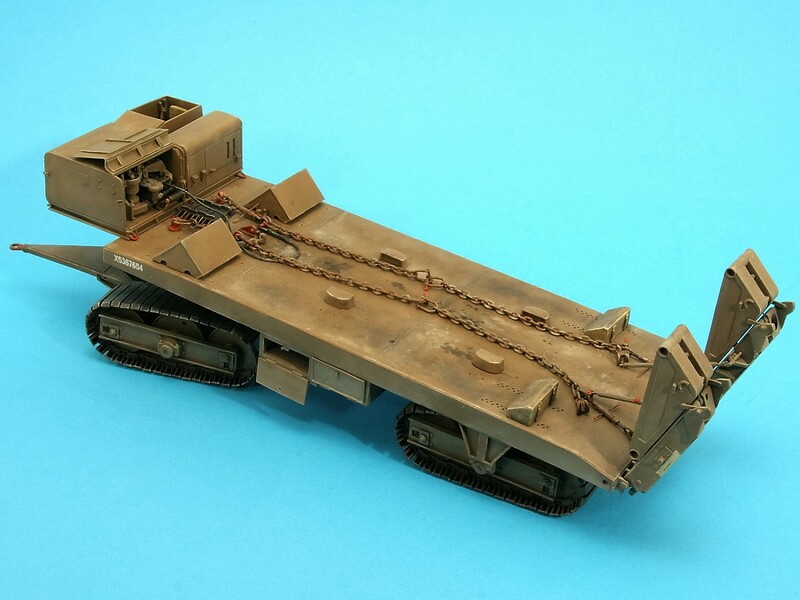 They were famously used in Normandy to move Locomotives from beached LCT(4) Landing Craft to the nearest rail line. The production of 100 units was undertaken by Boulton & Paul, and they were known as “Orolos” due to the use of the unusual track units of that name rather than wheels. An engine and winch housing with operators compartment is situated on the front deck, with massive loading ramps to the rear. 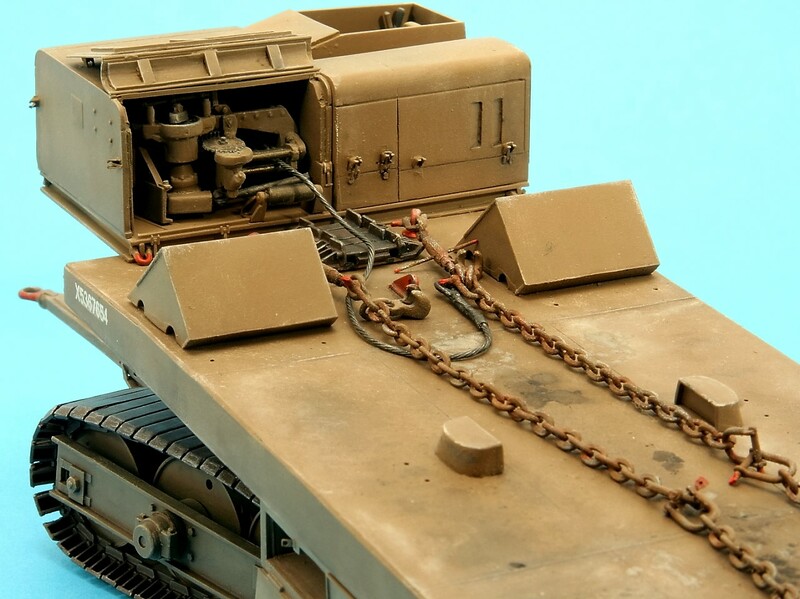 Our kit comes complete with Scammell winch, detailed drivers compartment, easy to assemble track units, opening stowage lockers, deck fittings and recovery chains, tie downs and winch cable. Etched brass details and a selection of decal markings are also supplied. 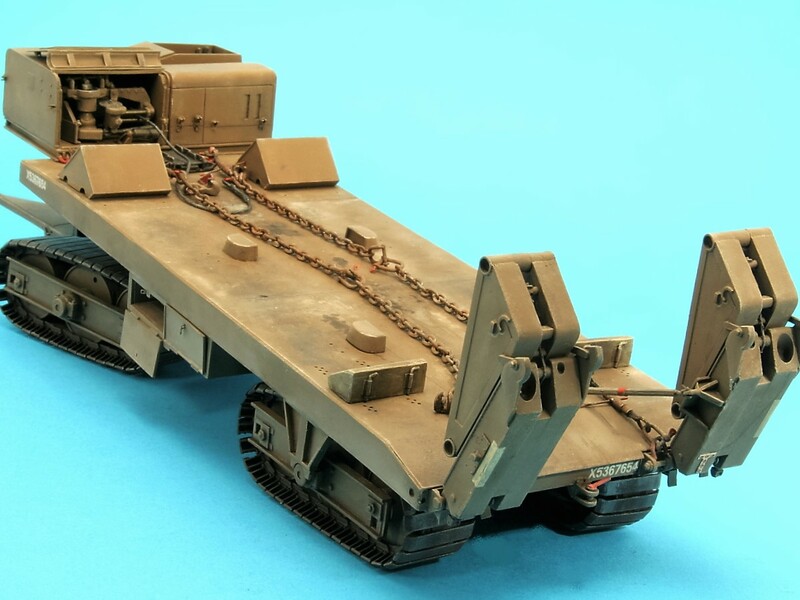 The completed model is 13”(330mm) long (ramps UP), 3.5”(89mm) wide and 3.5”(89mm) high.